Join coach Goran MYS Director of coaching and his staff to prepare you for your fall soccer season. As professional player for 17 years and "A" License USSF coach for 10 years coach Goran know what takes to get in top notch shape and compete on higher level then other kids. Registration is open with this link http://goranvasic.registernation.com/. 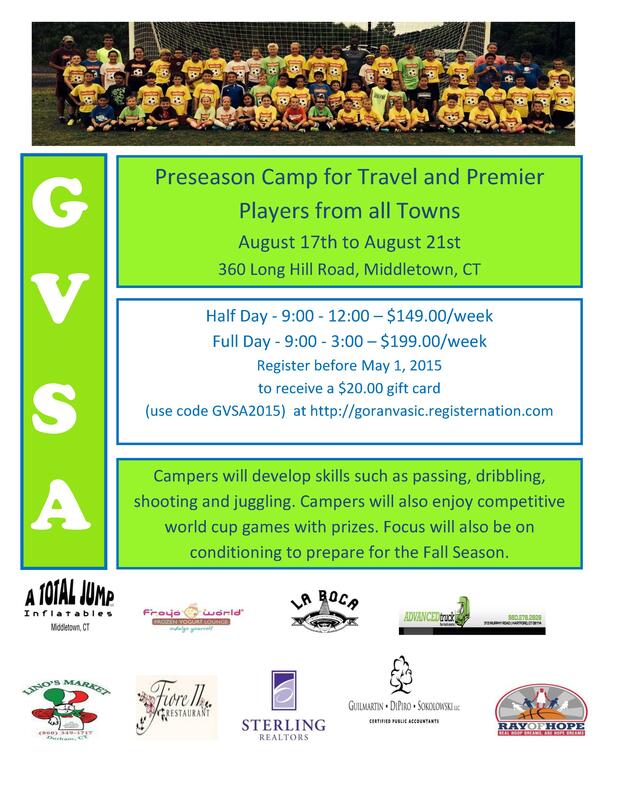 TRAVEL CAMPS ARE OPEN ONLY FOR TRAVEL AND PREMIER SOCCER PLAYERS.